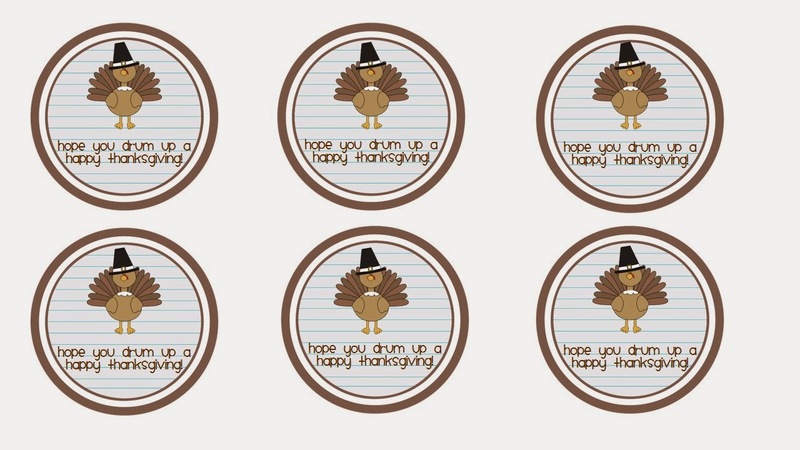 While the rest of the world already seems to be singing Fa La La La, I'm in the midst of getting our home and my classroom ready for Thanksgiving. We made these paper turkey legs today at home for the Thanksgiving kids' table, and I'm sure they will be a hit. Cut the bags about a 1/4 of the way down from the opening at the top. Make some kind of yummy treat to put inside the bags. We put our mixture into a zipper top sandwich bag first so that the popcorn grease wouldn't make our drumstick paper greasy. Stuff treat inside open brown paper bag. 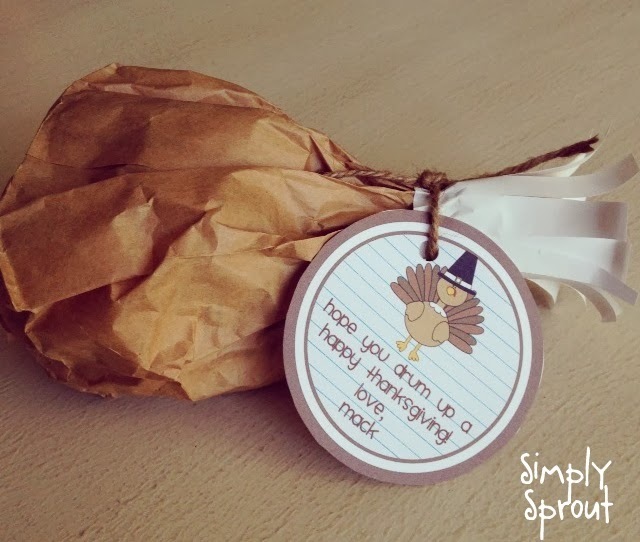 With your hands, crumple the brown bag to make it somewhat look like a drumstick. Gather the open in and twist in closed. Then glue the strips to the open on the bag and wrap around. Use your scissors to cut slits in the white paper. I used a pencil to roll the paper back a bit. Make it real fancy you know! If you want to get real cute, print the tags below by right clicking on the image. Copy and paste it into a Word document. Print, cut, and tie! 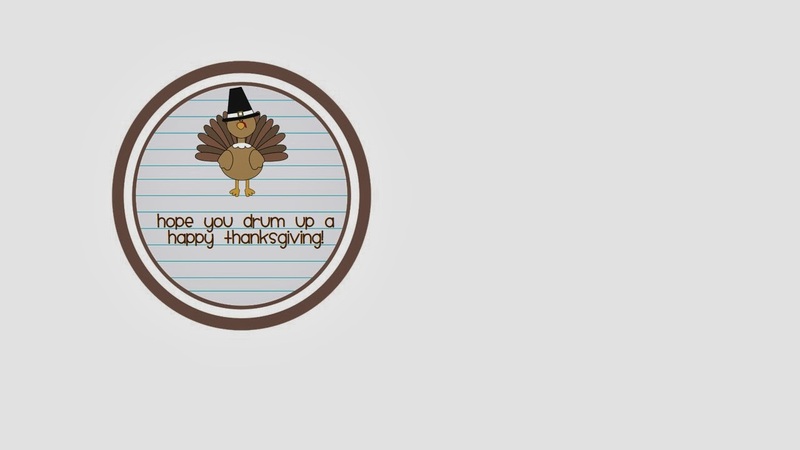 Now you just need some little turkeys to rip open their drumsticks and enjoy a fun treat! 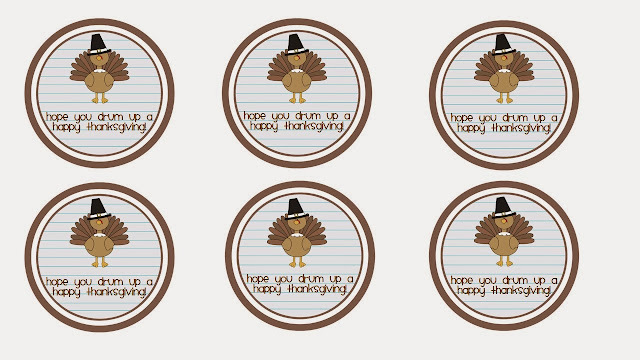 Make this idea Simply Sprout in the classroom: Type out a variety of different Thanksgiving themed words. Cut into strips and drop 5-8 words in each drumstick. 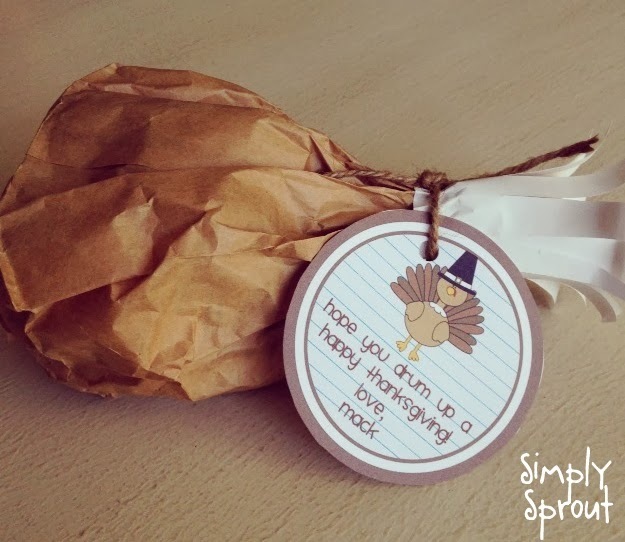 When your students open their treat challenge them to write a Thanksgiving story using the words they found.